This afternoon we hiked the Founder’s Trail, and completed our first Jr. Ranger Activity guides earning our first Jr. Ranger pins. 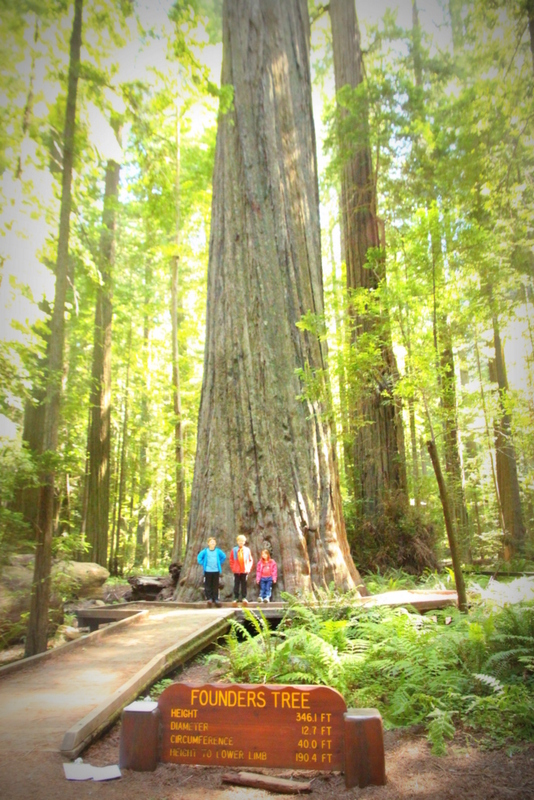 It was a lovely time to be among the oldest redwood forest and learn the history of how a few progressive thinking individuals had the tenacity and foresight to preserve these beautiful forests for future generations to appreciate. The founder’s loop is a fairly short and flat loop that is easily accessible to all. 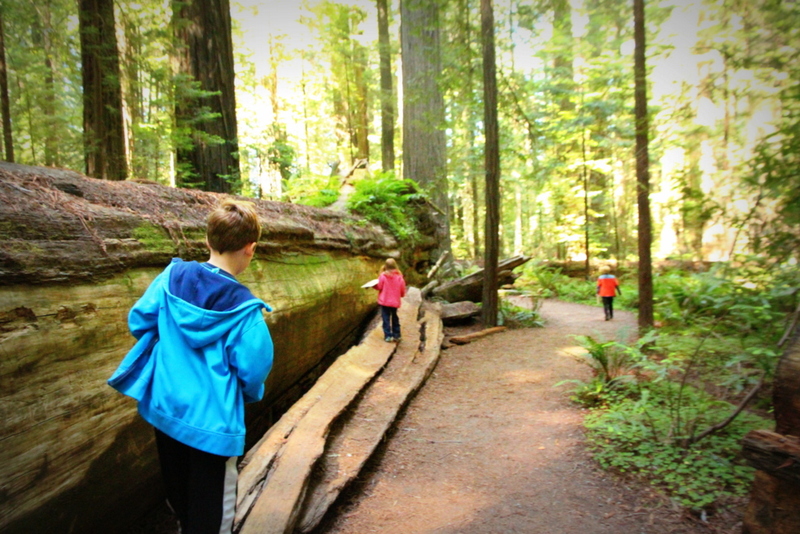 There is a parking lot at the beginning of the trail and even brochures to take to learn more about the founders and redwood forest. Dogs are not allowed on this trail and hubby and I once again took turns with Lady. The kids had so much fun exploring, climbing, running and discovering. We took our clipboards and our Jr. Ranger booklets and worked our way through the easy loop learning all kinds of interesting information and meeting some very special trees along the way. Meet the Dyerville Giant. 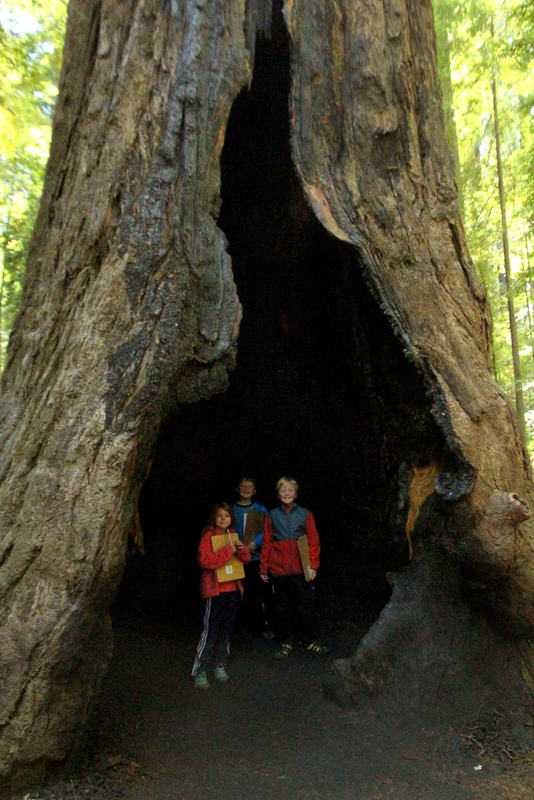 Before it fell in 1991, this coastal redwood tree was considered to be one of the tallest trees in the world at 372 feet with an estimated age of 1600 years old. 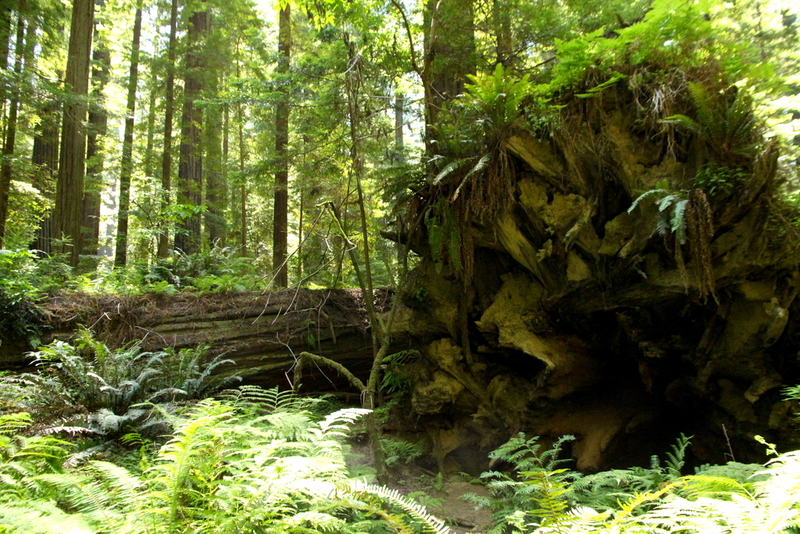 Even after these ancient redwoods fall they continue to nourish new growth and sustain life in the forest providing food and habitats for insects, plants and animals. Below you can see a new tree sprouting from the fallen giant’s burl. Look at all the life stemming from this fallen tree. Everything is connected. 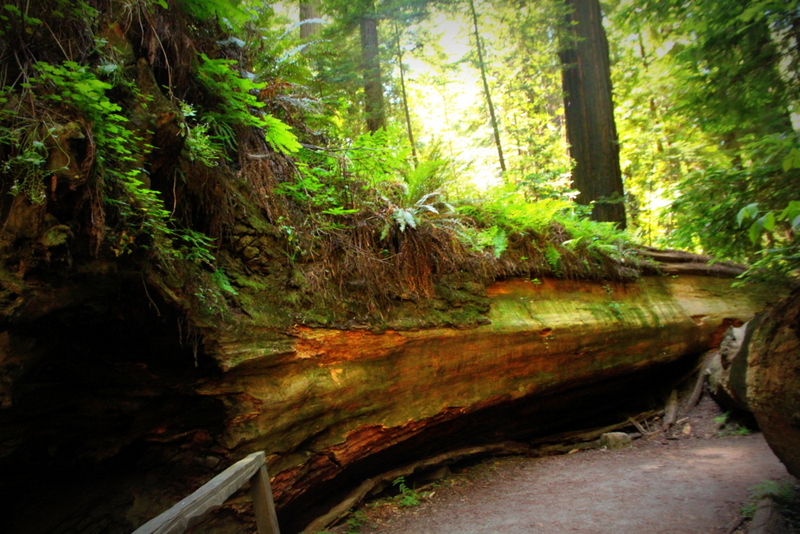 Even though the redwood roots are shallow they reach out to other trees nearby and intertwining their roots systems together making their connections to one another and in the earth stronger thus more stable against the various weather conditions. 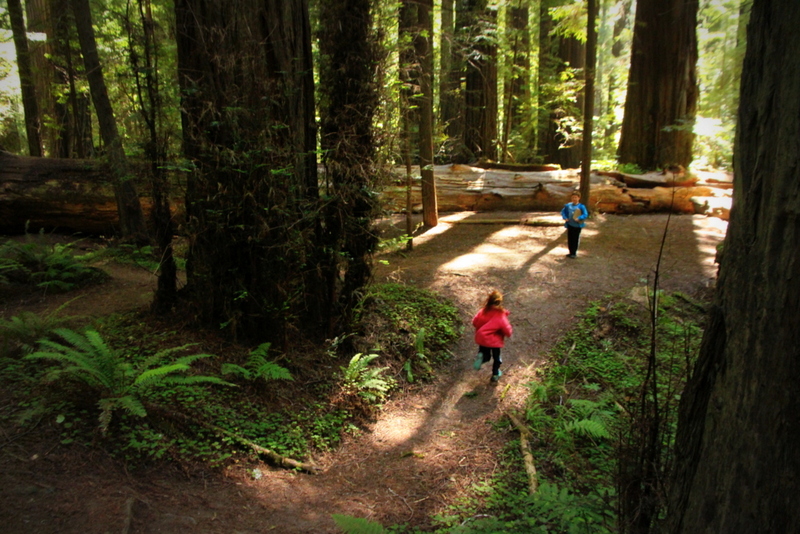 To remove even a small section of the forest impacts everything around it, as no redwood is it’s own entity. 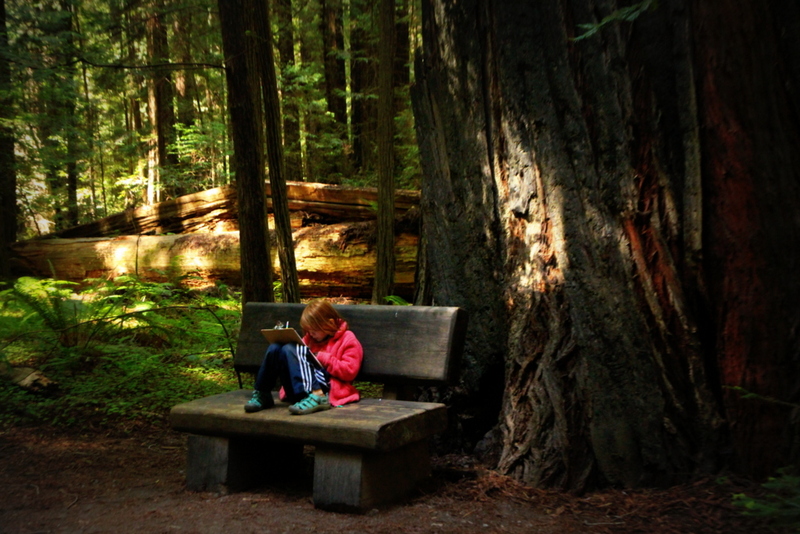 To learn more about the impact of clear cutting in forests or how one person can make a difference, read “The legacy of Luna” by Julia Butterfly Hill. 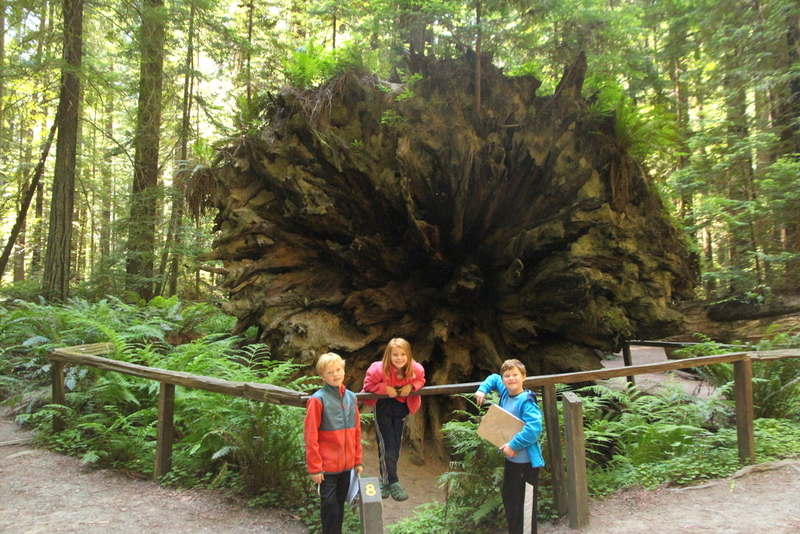 Julia lived in Luna, a 1500 year old coastal redwood tree slated for cutting. Julia lived high in the canopy 180 feet up for 738 days without stepping one foot down. 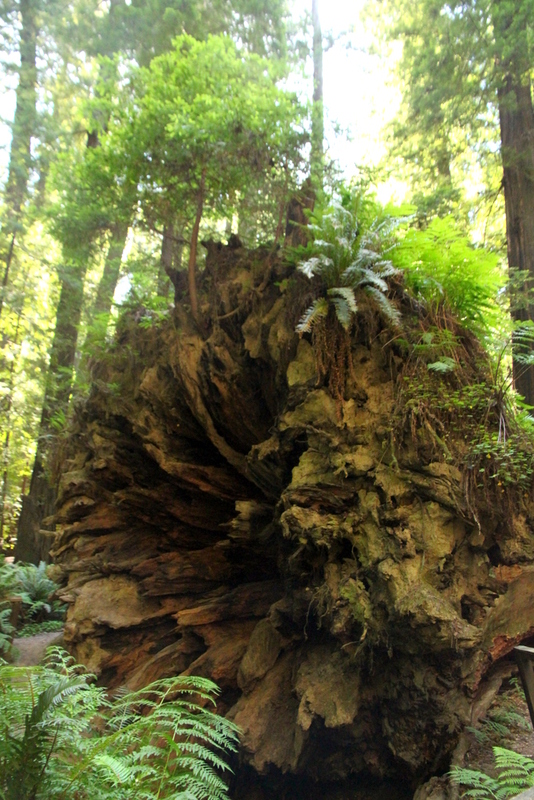 Luna survived and still stands tall in nearby Humboldt. I wish we had more time to spend here. A walk through the founder’s loop was too brief to discover all the wonders of this ancient forest. I would have loved to visit Luna too. Till next time, oh ancient ones.